Born on March 15, 1767 to parents who emigrated from Ireland just two years prior, Andrew Jackson was nothing like the other presidents before him. He grew up in a wild region that currently makes up the border between North and South Carolina, his education was sporadic and the first 15 years of his life filled with family misfortune. Jackson’s father died in an accident early on, just a few weeks before his birth, leaving just his mother to raise him and his two brothers alone. By the time the Revolutionary War approached the Carolinas, the Jackson boys had decided to join the local militia, resulting in his elder brother's death at the Battle of Stono Ferry in 1779. In 1781, Jackson and his remaining brother had the misfortune of being captured and detained by British soldiers. 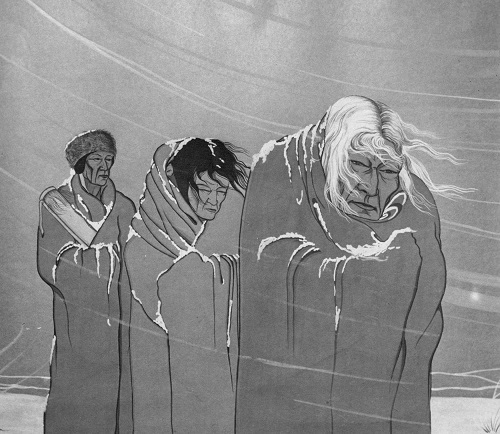 During their imprisonment, both brothers contracted small pox. Only Andrew survived. When Jackson's mother died of cholera three years later, Jackson moved to Salisbury, North Carolina, to live with an uncle. There, he studied law for only two years before being admitted to the Tennessee bar at the age of 21. Jackson's law practice quickly became a booming business, and by the age of 29, Jackson was propelling his political career forward at a tremendous rate. In 1796, he became Tennessee's first representative in the U.S. House of Representatives, followed briefly by a stint in the U.S. Senate, a position he resigned from. Several years later, he served as a circuit judge on Tennessee's superior court. But the pain and suffering the British inflicted upon him during his youth never completely left him. In 1812, he led U.S. troops on a five-month campaign against the British-allied Creek Indians, followed by a series of victories which landed him the title of Major General in 1814. Jackson became a national hero after leading his troops into the winning Battle of New Orleans, which ensured that the United States would continue to hold onto the vast territory it had acquired with the Louisiana Purchase in 1803. Jackson's engagement with the Freemasons was brief albeit active. 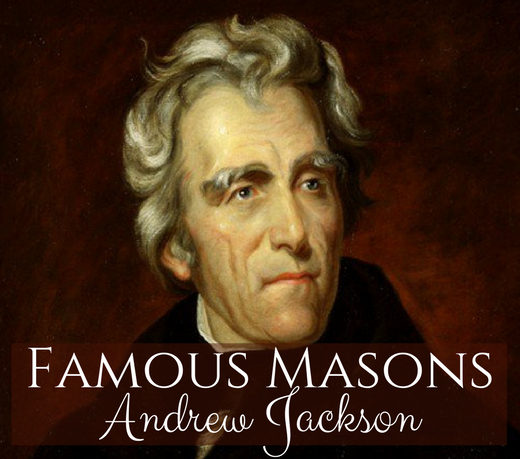 From 1822 to 1823, he served as the Grand Master of Tennessee Masons. However, in 1824, he chose to abandon Freemasonry to turn his attention to the presidency. His opponent was John Quincy Adams. Because of Jackson's existing popularity, he had no trouble winning the popular vote of his fellow Americans. However, he did not win the majority of the total electoral votes, which left the final decision of the election to Congress as dictated by the 12th Amendment. The speaker of the House, Henry Clay, immediately pledged his support for the opponent. After the announced win, Adams named Clay his Secretary of State. Immediately, Jackson dubbed this type of political deal the "Corrupt Bargain”, and began to dedicate much of his efforts toward informing the public of the unjust practice his presidential opponent had engaged in. The tactic worked, and Jackson was re-nominated for presidency just one year later, three years short of the next election. But Clay and Adams weren't the only politicians of their time to take advantage of the system. Jackson is known as the first president to replace incumbents with his supporters, a tactic then known as the "Spoils System", and today oftentimes described as the "Political Machine". As a direct result of Jackson’s intense campaigning, politics in 1828 became more polarized than ever before. The result was two opposing national parties. Jackson ran as a Democrat and Quincy ran as a National Democrat, or Whig. It was during this time that the donkey first appeared as a symbol of the Democratic party, the result of Jackson's opponents referring to him as "jackass". Jackson sought to be a people's president, and many of his tactics and policies were centered around giving power back to the public. Even his inauguration reflected his ties with the common man. He was the first president to hold a public inauguration ceremony at the White House, an event that turned into absolute chaos as thousands of people rushed the steps to greet their new representative. 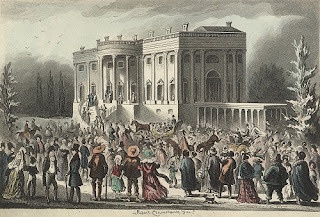 As his first four-year term came to an end in 1832, the corruption of the Second Bank of the United States became a major focal point for his campaign. that only answered to its directors and stockholders. Jackson believed that the bank was nothing more than a government-sponsored monopoly and promised to destroy it. Jackson vetoed its re-charter bill and accused the Bank of advocating “the advancement of the few at the expense of the many.” He was the first president to use veto power to kill policies before they were signed into law, and he used this political strategy often. Ultimately, the people continued to stand behind Jackson and ensured his reelection with 56 percent of the popular vote. At odds with Jackson's proposed political and military policies, vice president Calhoun resigned from office in December of that same year, the first VP in American history to do so. Only one other vice president has ever given up his political position: Spiro Agnew who served under Richard Nixon. The Second Bank of the United States was closed in 1836; however, the Panic of 1837 shortly followed. No doubt due to Jackson's economic policies which artificially inflated the price of land and devalued paper currency, the Panic was followed by a five-year depression. Although Jackson was a sung military hero during the war of 1812, he undeniably made several questionable decisions throughout his political career. Along with the destruction of the economy, he also signed and implemented the Indian Removal Act of 1830, which ultimately resulted in the death of approximately 4,000 Cherokee Indians on the Trail of Tears. He also nominated Roger Taney to the U.S. Supreme Court. The latter would lead to a decision that no African American could claim U.S. citizenship. Jackson retired to his plantation in 1837 and died in 1845 at the age of 78.